The sun is important for all life on Earth. But, while many animals choose to hide in the shade, others like to be out in the open basking under its warm rays. As we are in the heat of summer, let’s appreciate some of the animal kingdoms biggest sun lovers; here’s our top 10. 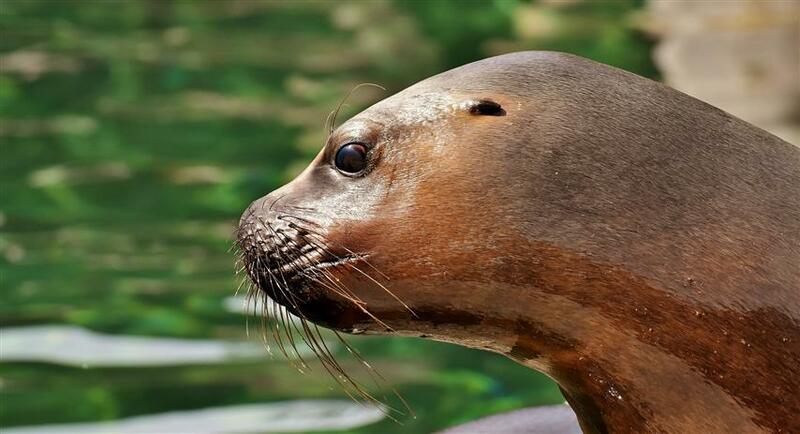 Sunbathing is serious business for sea lions. They congregate in large colonies on the shores of the Pacific and spend much of their time noisily arguing over the best basking spots. If you’re lucky, you may see them lying on their sides in the water with one flipper raised, the sun warming the blood and, consequently, the body as it circulates. 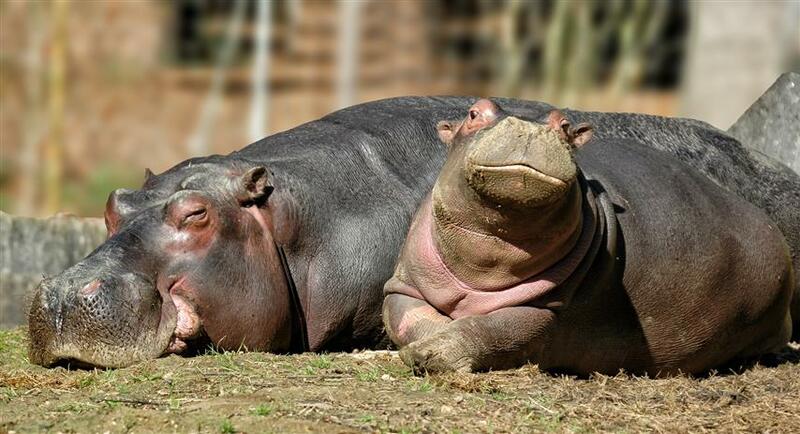 Hippos sunbathe on the banks of rivers and lakes to warm themselves when it’s cool out. They take skin care seriously though and secrete their own natural sunscreen to keep their skin moist and prevent it from drying out and cracking. The sunscreens pinkish-red colour led people to believe that hippos sweat blood, but in reality, they don’t sweat at all. Read more. More commonly associated with cold weather, it may come as a surprise that our next sun lover is a penguin! 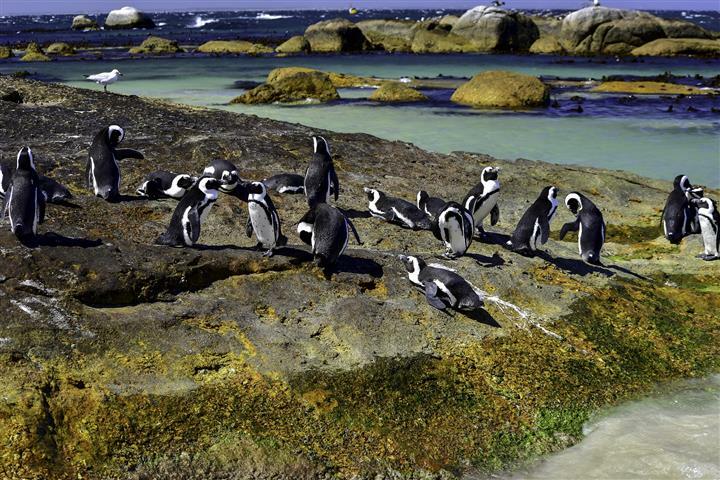 African penguins are native to waters around southern Africa and congregate in large colonies (<3,000 penguins) on beaches near Cape Town. They alternate between dipping into the water and lying in the sun and are even known to steal space on sunbathers beach towels! Most bird species sunbathe in some way, with some of the most familiar examples being robins and blackbirds. 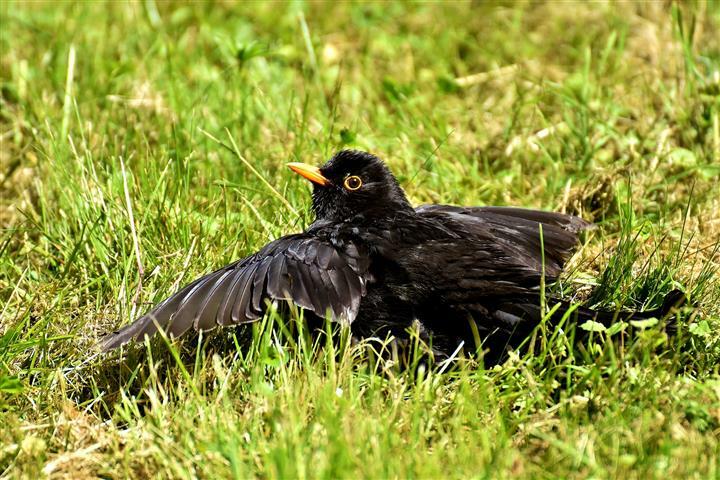 On a sunny day, it’s not unusual to see a blackbird sunbathing in your garden, wings spread out beside them and feathers fluffed up. This is part of their feather maintenance as it helps to spread preen oil, which is important for keeping their feathers healthy. Sunbathing also draws out any parasites that may be hiding among the plumage. 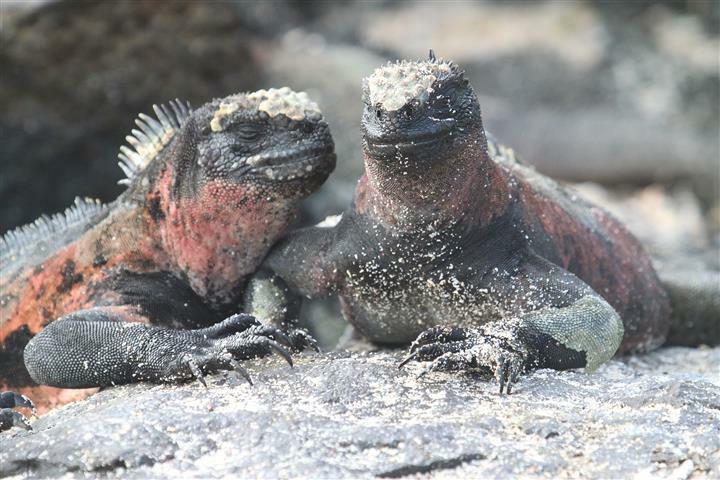 Like most lizards, the marine iguana is often found basking in the sun. They are native to the Galapagos Islands and, as the name suggests, they spend a lot of time in the sea; they are well-adapted for swimming. They are cold-blooded which means they can’t regulate their temperature and rely on sunbathing on the lava rocks to warm up after their dip in the sea. Snakes are another animal that cannot regulate their body temperature and rely on the sun to do so. 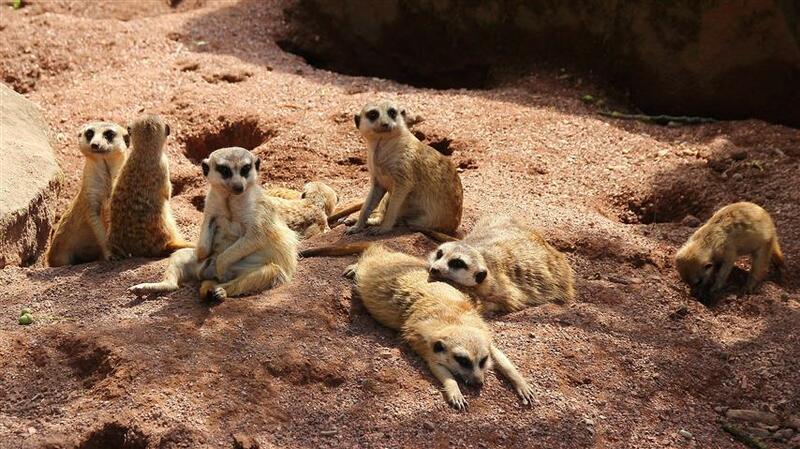 After a meal, they need to raise their body temperature to digest their food and do so by sunbathing. They may hide entirely under a warm rock, or they may extend the body section that contains the digesting prey into direct sunlight. 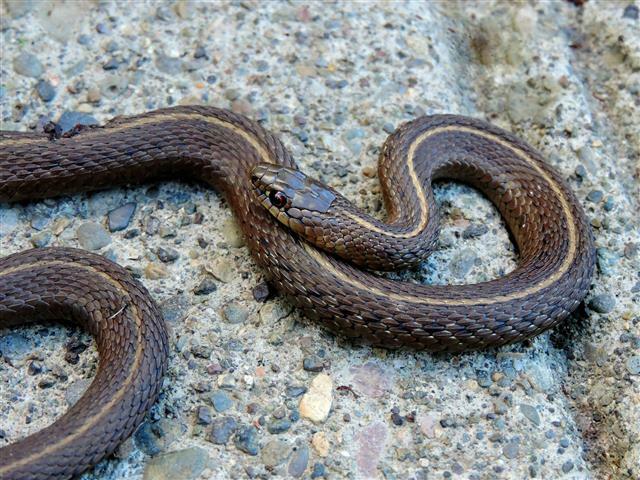 Garter snakes, in particular, are known for their basking habits. They hibernate through winter, and bask for quite some time after emerging to build up the energy they need to look for food. Like the marine iguana, painted turtles need to bask in the sun to absorb heat and keep their body temperature up. They emerge from the water at sunrise and bask for several hours to warm up and get ready for the day. They may bask on the shore but, more often than not, they will find a makeshift raft to perch on so they can sunbathe in the water. 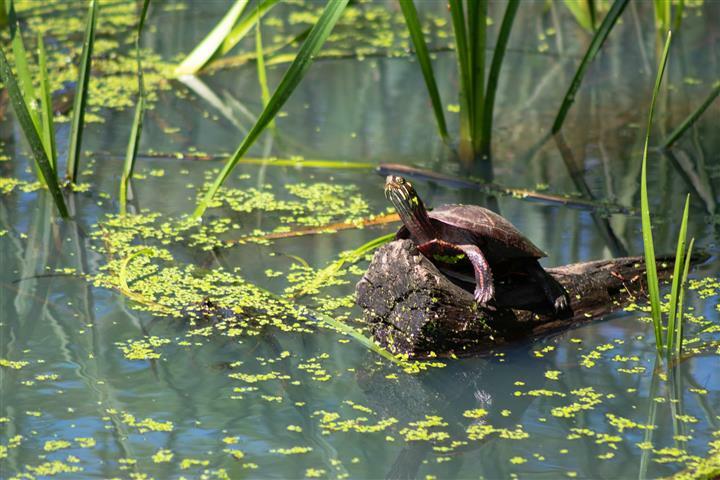 Basking is also important for the turtle’s health as any ectoparasites dry out and drop off in the sun. 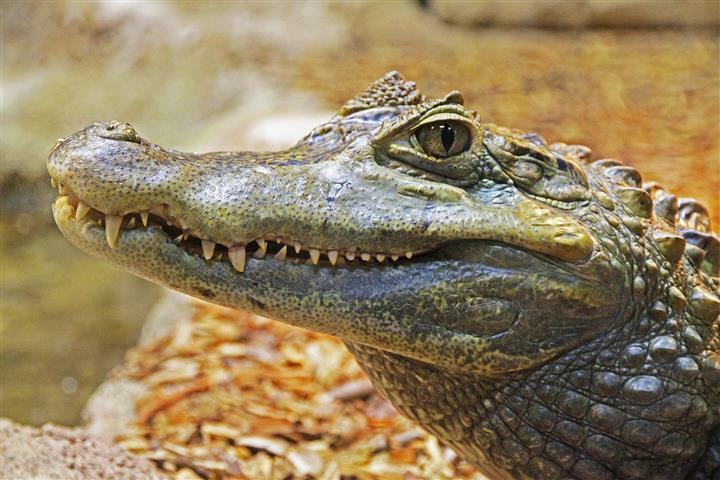 Alligators need the sun to regulate their temperature, so spend a lot of time basking, either alone or in large groups known as congregations. They really enjoy warm weather, but when they get too hot, they go for a swim to cool down. Alternatively, you may see them basking with their mouths open to release any stored heat. Read more. Western boxelder bugs really dislike cooler temperatures. They go into hiding in autumn but emerge regularly to sunbathe, which is essential to their health. 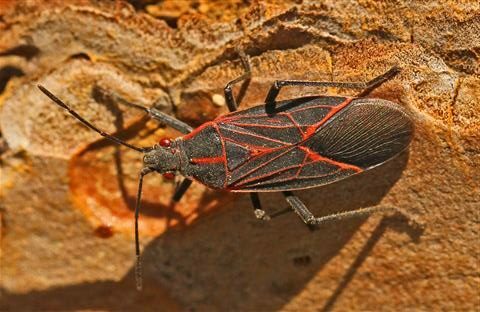 While soaking up the suns rays, Western boxelder bugs produce chemicals, which they then spread over their body with their legs while grooming. The chemicals engulf germs residing on their body to prevent them from causing harm.